WASH the green and yellow zucchini and mint leaves. 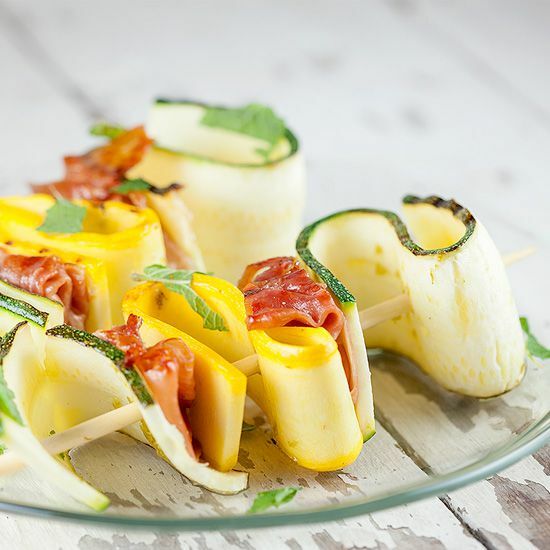 USE your mandoline to slice the zucchini into long strips, if you don’t have a mandoline use your chef’s knife and a cutting board. SQUEEZE juice from the lime into the small bowl, add freshly ground pepper. PRESS 2 garlic cloves and mix it into the lime and olive oil mixture. 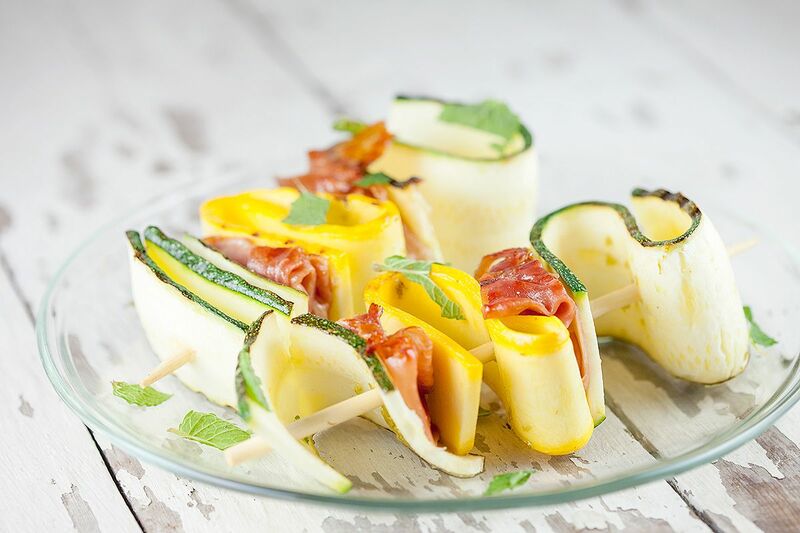 PIERCE a green zucchini slice on a wooden skewer, then Serrano ham, then a slice of yellow zucchini, add Serrano ham, and finish by piercing a green zucchini slice. REPEAT for the remaining zucchini slices. HEAT up the large skillet, don’t add in any oil. 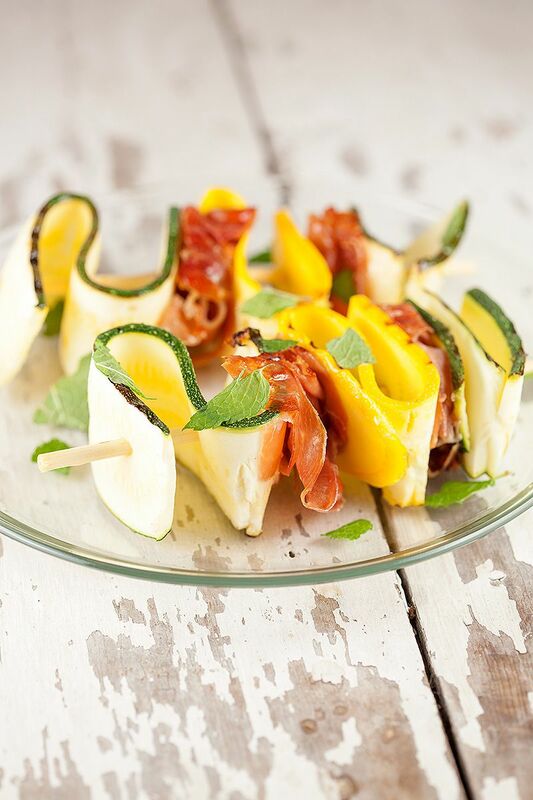 COAT each zucchini skewer with the olive oil and lime mixture using the silicone brush, bake for 5 minutes each side. 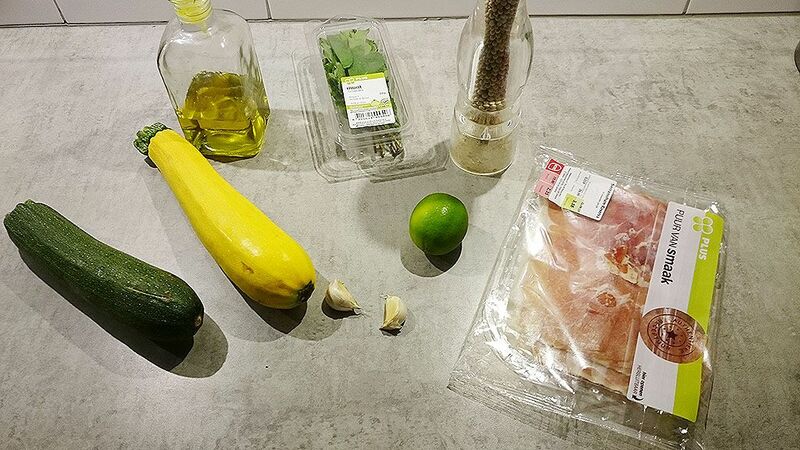 If you notice that the zucchini is a bit dry, coat it with a little bit more olive oil and lime mixture. TEAR up a few mint leaves, divide over the plate and serve immediately. Enjoy!